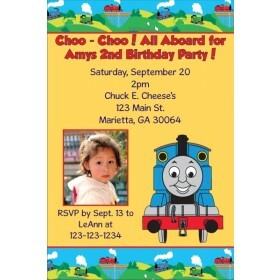 Thomas the Tank Engine (Train) Photo Invitations. All aboard! 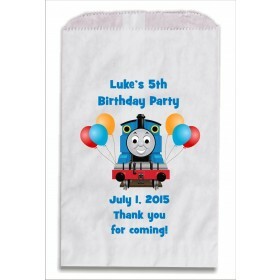 This invite features a vibrant blue background and Thomas the Tank Engine! 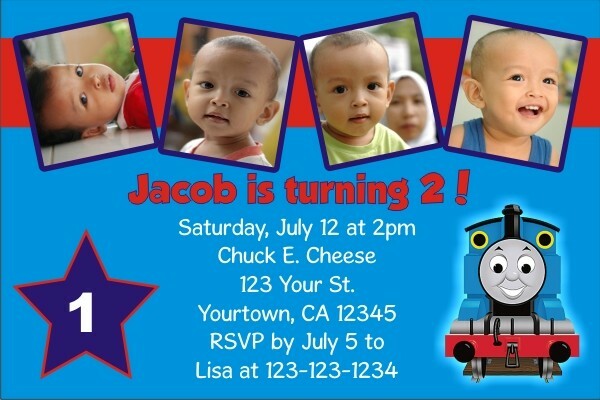 Personalize this invitation template with your child's photos and party information. 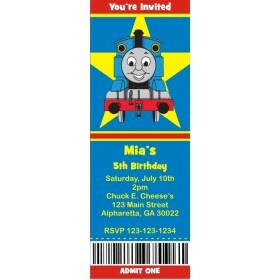 This invitation will wow your friends and family!